End of summer sadness? 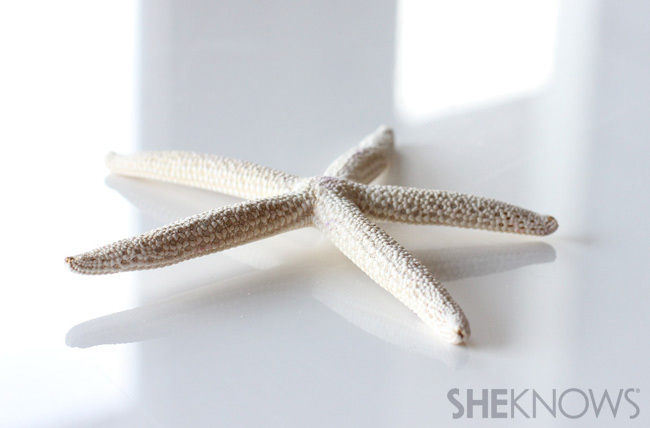 Reclaim the bygone days with this easy-to-make sea treasure that will never go out of season! 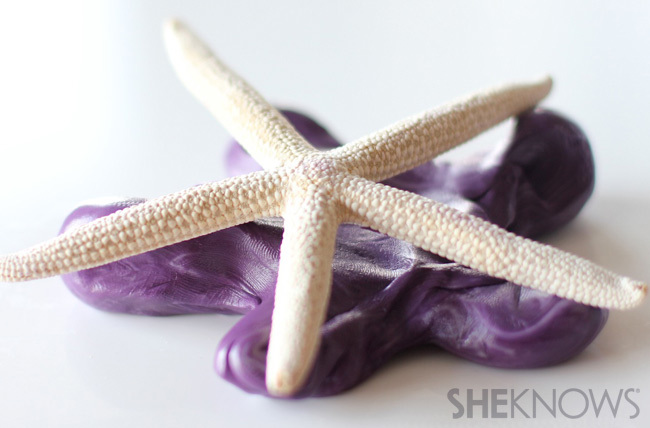 To create this cuff you’ll need: Easy Mold silicone putty, firm oven-hardening clay, a starfish, spray paint in your choice of color and a glass similar in shape and size to your arm. 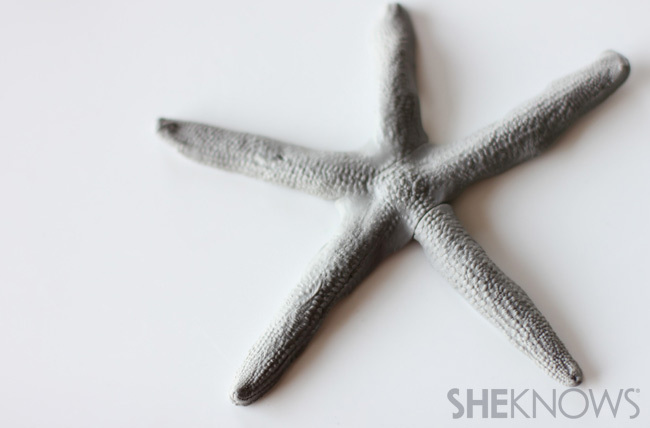 If you don’t have a starfish laying around, they’re easy to find at most craft stores. 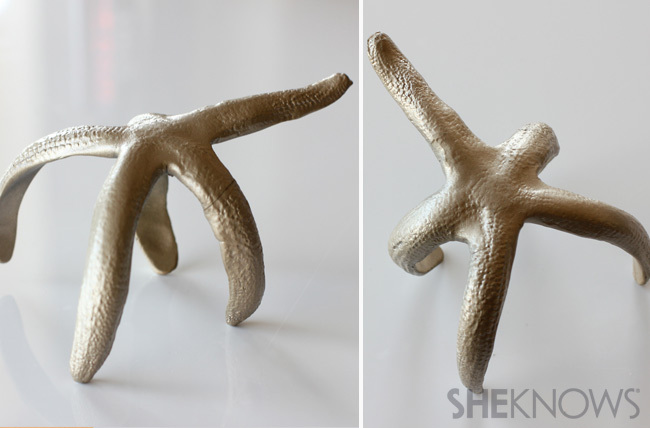 For this project, we used Easy Mold silicone putty. 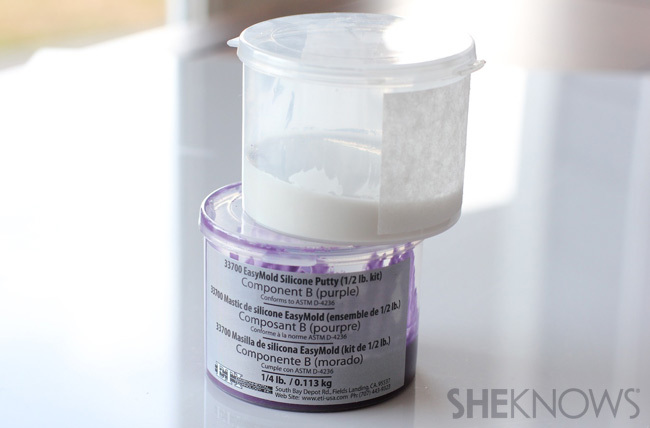 There are two parts to this putty that you’ll be mixing together. 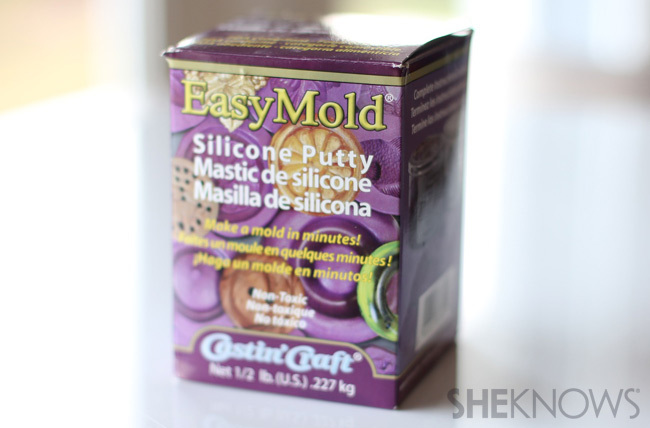 Begin by taking equal parts of each of the Easy Mold silicone putties. 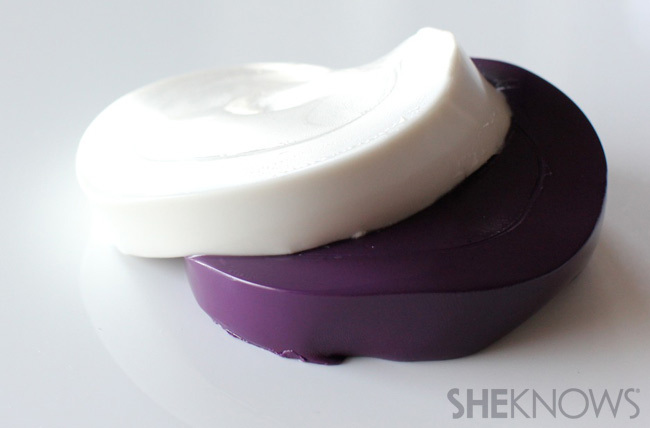 The putty will remain workable for 3 minutes, so imagine you’re in the Olympics for timed putty races and start kneading it together quickly! Twisting is the best method! Just keep twisting and turning to mix it completely. You want it to be one solid color. 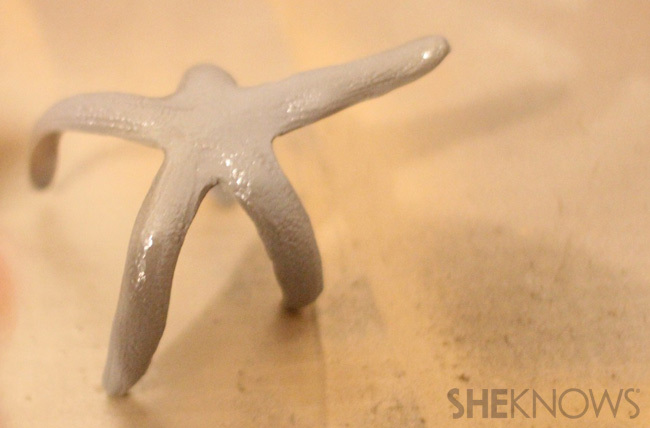 Once your putty is one solid color, shape it into a rough base for your starfish. 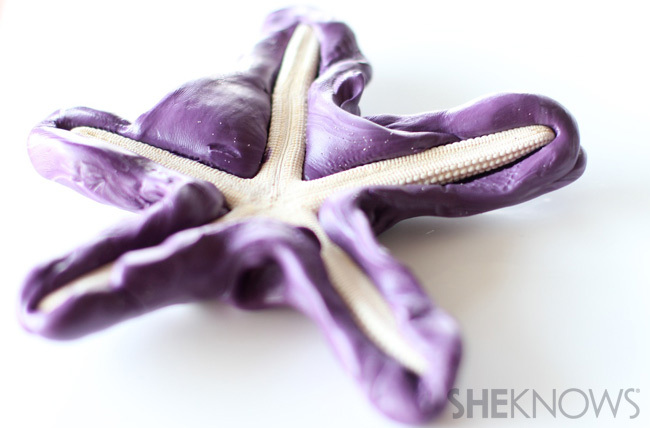 Press your starfish facedown into the putty and work the putty around each arm. You should have ridges up the side of each arm, so if you poured water into the mold, nothing would spill out the sides. 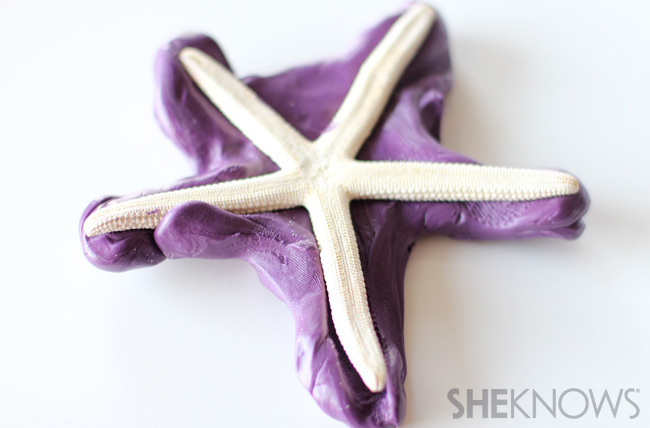 Give the whole starfish an extra press to imprint all the little ridges into the mold. Leave the mold for 5 minutes to ensure everything is hardened. It cannot be altered after it’s dry. 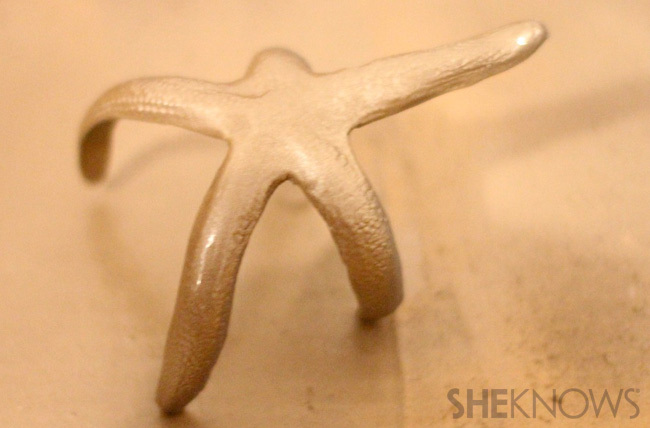 You should now have a rubber mold that’s easily separated from the starfish. 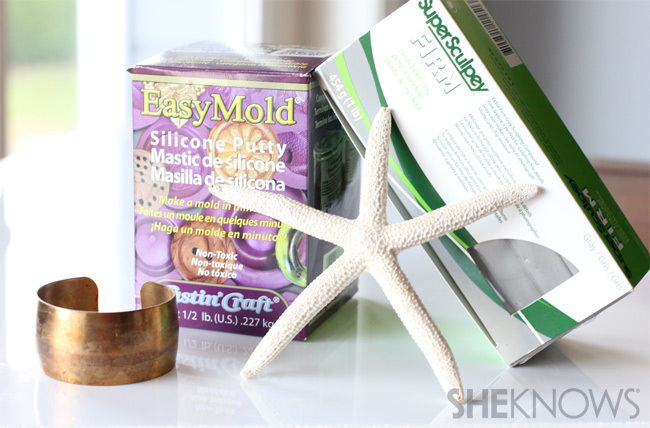 Preheat oven to 275 degrees F and tell everyone you’re baking something delicious… this is a lie, but it will be entertaining for you when they find out it’s a silicone mold! 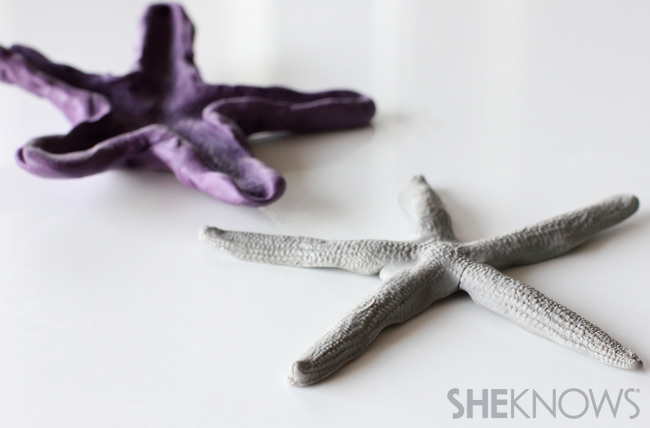 Grab your firm oven-hardening clay and start kneading a piece in your hand. The warmth of your hands makes it easier to work with. 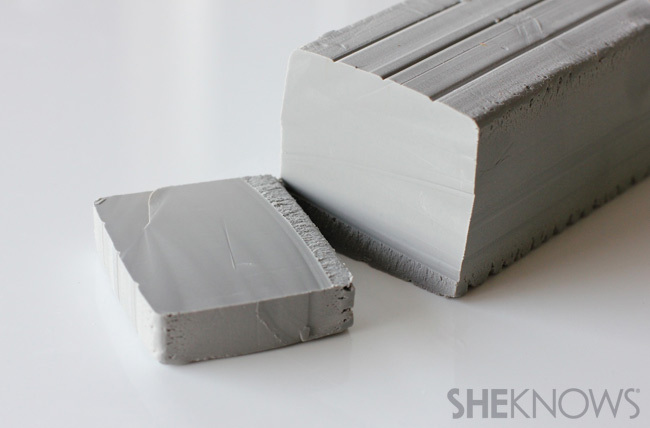 When the clay feels workable, roll out long pieces and begin pressing them into the arms of the mold. This will take several pieces. Keep repeating this process until you’ve filled in all the arms. 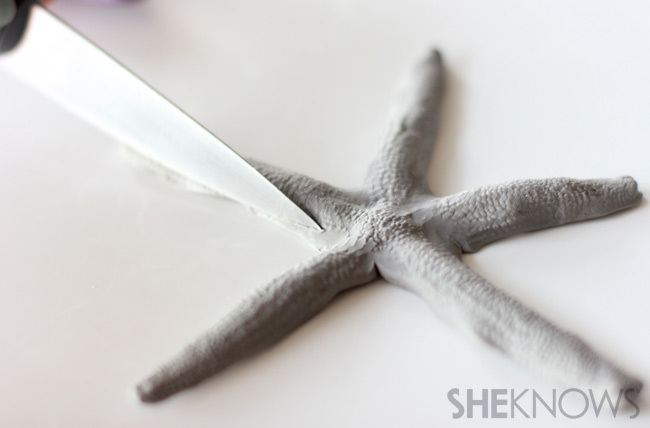 Once you’ve filled in the mold completely, start really pressing the clay into the mold. 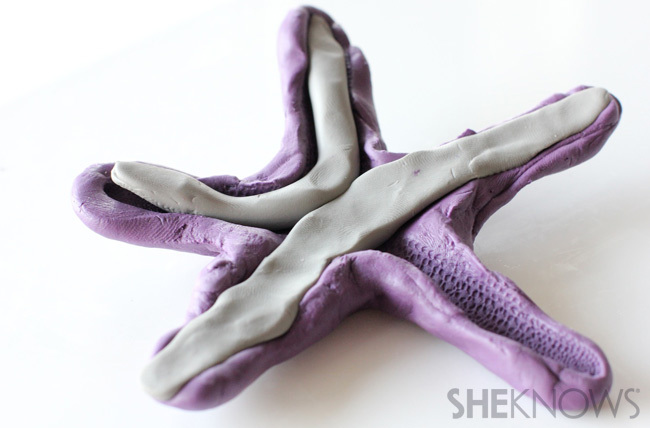 You want to make sure there are no seams or breaks in the clay, which will weaken the structure, so work the pieces together until they’re totally seamless. Now you’re ready to start removing the mold. Carefully loosen each arm, then coax the clay out of the mold. 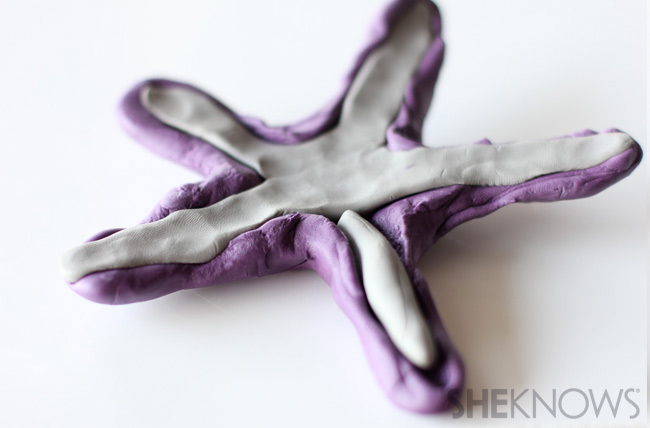 You should have a beautiful clay starfish now! Check for any breaks or weak seams in your clay. Knead the seams together then re-press it in the mold. 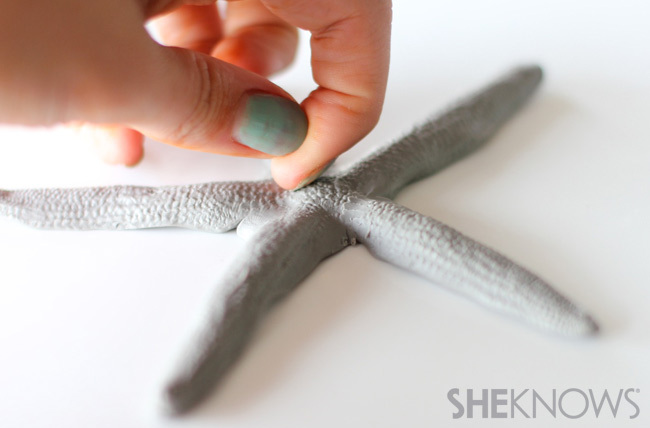 You can rework the clay and repress it in the mold as many times as you like. This will make for a better cuff in the end. 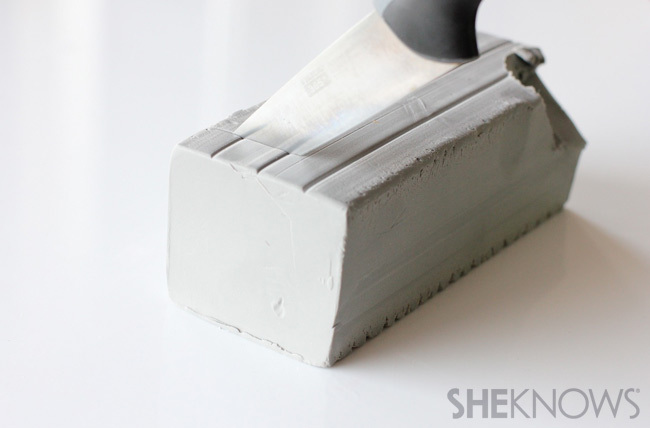 Clean up any extra clay with a knife and straighten out any lumps in the clay with your fingers. 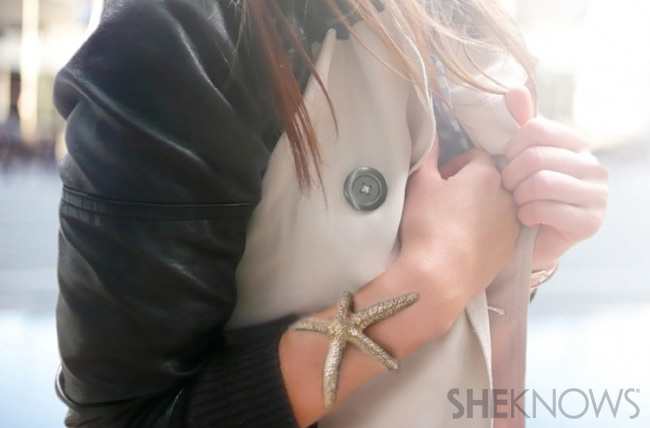 Once you have your starfish, drape it around your arm to see how you want it to fit. The longest legs should wrap around the smallest part of your arm, so it doesn’t fall off two seconds after you put it on. Once you’re happy with how it looks on your arm, it’s time to bake it! I like to use a glass that tapers at the bottom for a perfect fit. My glass was similar in size to my upper arm, so I draped the clay around the smallest end. Make sure the arms aren’t hanging loose by gently pressing the ends onto the glass. You can use any oven-friendly prop for baking, such as wood, metal, porcelain or thick glass. 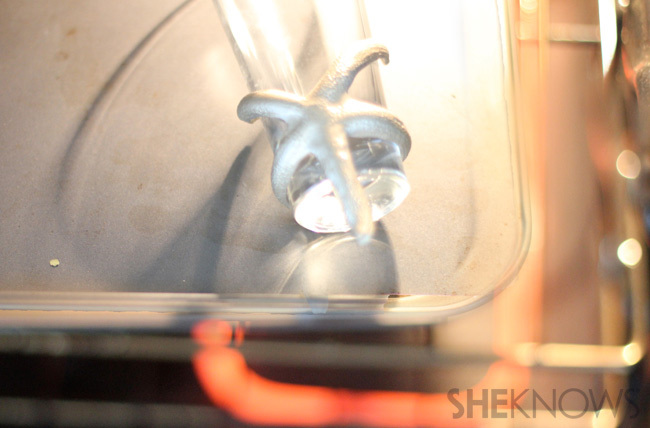 Place the glass with the clay directly into the oven, and let it bake for 15 minutes. Carefully remove it from the oven and let everything cool for 10 minutes. If the cuff is disturbed at this time, it’s likely to break or crack. So leave it alone! 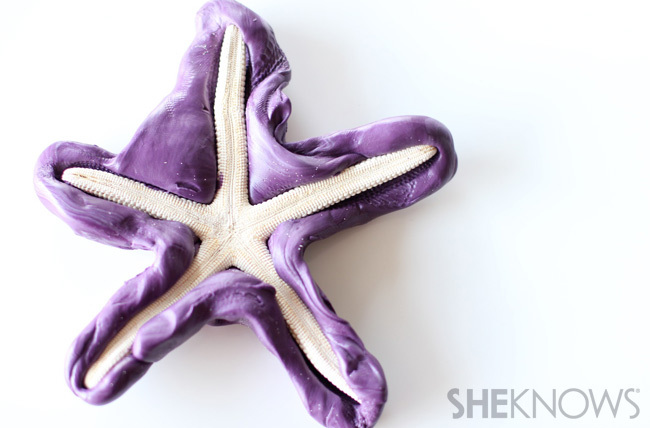 Place the dry, cool starfish on newspaper in a well-ventilated area and spray-paint the cuff. 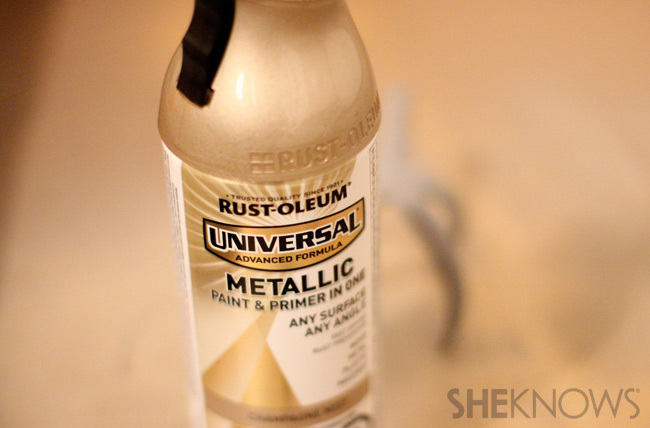 I used Rust-Oleum Universal Metallic Paint and Primer in Pure Gold, but you can use whatever color you like! 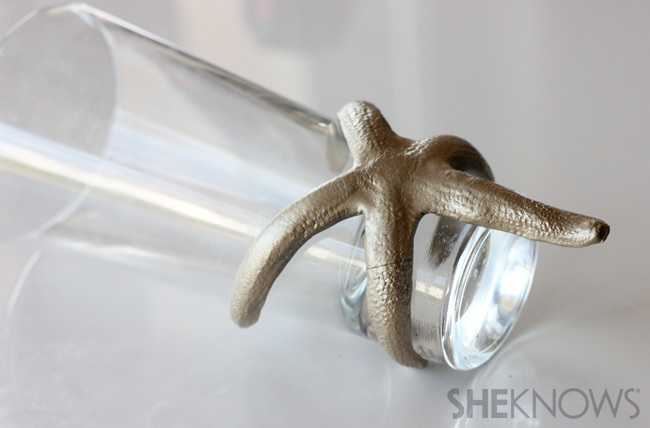 Once the clay is cool to the touch, carefully remove it from the glass/metal. After an hour, flip the cuff and spray the underside. After both sides are dry, finish it off with a spray sealer. And you’re done! It may feel a little tacky for 24 hours after you’re finished, so treat it gently until everything is hard as a rock! If your cuff breaks don’t be sad; just try again! 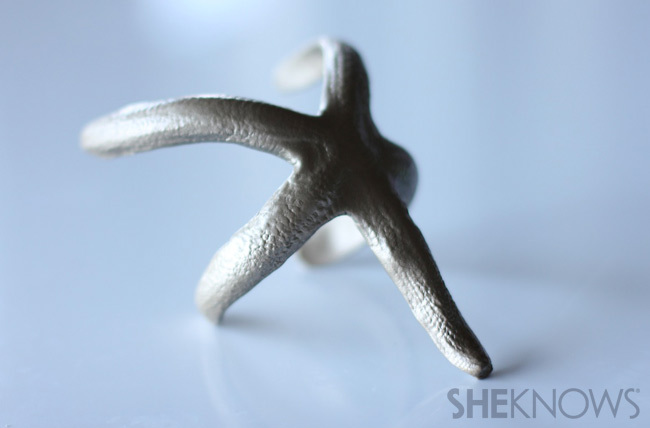 Working with new materials can be a challenge, but that makes your success all the better!